We are organizing the International Conference on Pediatric Pharmacology during July 13-14, 2018 at Toronto, Canada with the Theme: Unveiling the latest researches in pediatrics & connecting the global experts. Pediatric Pharma 2018 aims to discuss such issues which would accelerate the scientific discovery and help the scientific community to develop, exchange and upgrade their knowledge in paediatric pharmacology. Your rationale towards attending Pediatric Pharma 2018! With the global paediatrics market growing at an appreciable rate we are organizing the International Conference on Pediatric Pharmacology during July 13-14, 2018 at Toronto, Canada with the Theme: Unveiling the latest researches in pediatrics & connecting the global experts. Among the other challenges in pediatrics; drug delivery, dosage forms and dose calculations are one of the most persistent challenges which requires addressing. It would be a great platform at the Pediatric Pharma 2018 to discuss such issues which requires the global experts’ amalgamation. Who should you meet at Pediatric Pharma 2018?? In-depth knowledge on the effects of medicines in children came to prominence in recent years due to apprecaible increase in publicly funded research and government initiatives towards providing financial incentives to industry. 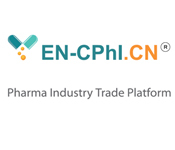 According to NCBI published article an independent analyses of the economic cost and return to industry of the pediatric exclusivity program showed that when research was conducted on nine drugs, the cost to industry ranged from $5 to $44 million, with a median of $12.3 million. The net return ranged from $9 to $508 million, with a median of $140 million, and the ratio returncost went from -0.68 to 73.63. This shows the great potential that this field bears. The last ten years have witnessed both a significant expansion of pediatric pharmacology research and a redefinition of the roles of public and private sources in supporting such research. Congenital heart disease (CHD) is the type of heart disease that a baby is born with. In reality, it is a defect, or abnormality of the heart or blood vessels near the heart, and not a disease, so many people use the term “congenital heart defect”. The majority of children born today with CHD will survive and with proper treatment be able to lead a normal or near-normal life. Some kinds of CHD are mild and may not be diagnosed in infancy. Heart Murmurs is also very common disorder soon after birth. The global cardiovascular therapeutic drug market was worth $140.7 billion in 2009, and had grown at a compound annual growth rate (CAGR) of 2.7% to $144.5 billion in 2010. However, the market experience a sizable reduction in the early portion of the forecast period, and then slowly did rise to reach $140.8 billion in 2017. The segment recorded $64.9 billion in sales in 2009. By a large margin, hypertension is the largest segment within the cardiovascular market, driven by a large number of billion-dollar-plus therapies. The hypertension market is expected to grow to $65.3 billion in 2010 and experience a reduction through 2017 to $53.7 billion. According to a report published by UMKC School of Medicine, about 2.7 million people in the U.S. have epilepsy and more than 45,000 new cases are diagnosed every year. Pediatric Neurology devices market is expected to grow at a CAGR of 6% from 2016 to 2021. 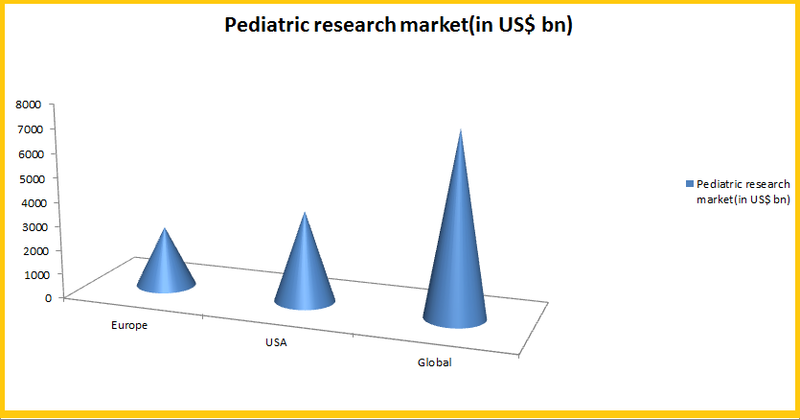 The pediatric neurology market comprises few medical devices such as EEG (electroencephalogram) and brain stimulation devices, which are used in the diagnosis and treatment of pediatric neurological disorders. There are various therapies available for the treatment of pediatric neurological disorders such as intrathecal drug therapies, lumbar puncture therapies, and pediatric neurological evaluations. 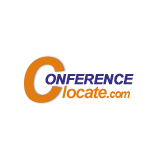 Currently, there is growing extensive research and development with a significant number of new product introduction in the market. As of 2017, in US there are over 5,496 board certified adult endocrinologists and 1,016 pediatric endocrinologists, with a total of 6,512 board certified endocrinologists age 70 or less. Of the board certified endocrinologists, it is estimated that approximately 4,841 adult endocrinologists and 893 pediatric endocrinologists were engaged in clinical practice in 2016. An additional 4,000 physicians report some role in endocrinology and nutritional services, primarily in diabetes management. As per several researches the baseline assumptions show that there is gap of about 100 full-time pediatric endocrinologists in 2016. However, projections suggest that this gap can be closed by 2017 and by 2025, a surplus of about 200 FTE pediatric endocrinologists will have emerged. 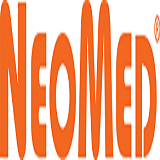 The primary reason for the difference in the pediatric and adult endocrinology markets is the major role that the aging population plays in the demand for adult endocrinologists, while the aging population has a much less profound effect on the demand for pediatric endocrinologist services. The global market was valued at USD 7,281.6 Million in 2014. This market is expected to grow at a CAGR of 5.8% during the forecast period (2015–2020) to reach USD 10,209.4 Million by 2020. According to market researches the overall gastrointestinal drugs market to hit $48.4 billion by 2022 as biologic products revolutionize the treatment space. The market size for gastrointestinal therapeutics is set to grow from $35.7 billion in 2015 to $48.4 billion by 2022, representing a compound annual growth rate of 4.45%. In terms of the gastrointestinal pipeline, there are 937 products in active development, most of which are small molecules and biologics. Of these 329 are biologic drugs in the pipeline. 87 of the later products are being developed for ulcerative colitis and Crohn’s disease, while 226 are in development for other gastrointestinal indications. The global pulmonary drug delivery technologies market which was $19.6 billion in 2010 had reached $37.5 billion by 2014. This global market is further projected to reach nearly $44 billion by 2017 at a compound annual growth rate (CAGR) of 14.3%. The market for metered dose inhalers (MDIs) was $12.5 billion in 2010 and will reach $24.4 billion by the end of 2017. Market forecasts say that this market will potentially grow to $29.8 billion by 2017 at a CAGR of 15.7%. The market for dry powder inhalers (DPIs) was $6.6 billion in 2010. This market had increased to $7.5 billion in 2015 and reached $13.4 billion by 2017 at a CAGR of 12.3%. During 2005 to 2011, the rheumatology therapeutics market had grown at an exponential rate, but during the period from 2012 to 2018, it has been growing at a slow pace. The market is segmented on the basis of drugs used in rheumatology therapeutics- Enbrel (etanercept), Humira (adalimumab) and Remicade (infliximab) Enbrel (etanercept). Humira (adalimumab) and Remicade (infliximab) are the market leaders of the drugs used in rheumatology therapeutics, of which Enbrel and Humira enjoy e the majority of the market share in the U.S. and Remicade in the European Union. Pfizer’s Celebrex, a major drug used for the treatment of osteoarthritis, witnessed high sales during 2010-11 and is potentially going to be in demand during the period from 2012 to 2016. Rheumatology therapeutics market is expected to reach $23.8 Billion until 2018. Some market reports predict that the market will climb from US$17.1 billion in 2011 to US$23.8 billion by 2018, at compound annual growth rate (CAGR) of 4.8% - almost half of the 2005-2011 CAGR of 9.4%. Between 1948 and January 2003 the FDA approved 120 new cancer drugs, of which only 30 have been used in children. We are also far from an ideal situation. FDA’s 2000 draft guidance, Pediatric Oncology Studies: In Response to a Written Request, states: “Participation in oncology trials has become the standard of care in pediatric oncology.” While this is the standard, it does not mean that pediatric trials accrue patients a rapid rate. Conversely, the comparatively low prevalence of childhood cancer patients (approximately 12,500 new cases a year for all forms of cancer1), places a high value on each patient enrolled in any oncology study or clinical trial. Childhood cancer is rare, with approximately 12,400 new cases diagnosed ever year in patients under the age of 21 years. The global pediatric market was valued at $80.7 billion in 2013. This is expected to reach nearly $83.6 billion by the end of 2014 and $100.7 billion by 2019. The hepatic disorders in children are a persistent issue address over years. Some US based medical colleges and hospitals specialize in this area with an active faculty strength of over 60 pediatric gastroenterologists. More than 35,000 patients are seen annually in ambulatory programs in each of thess individual hospitals. Mostly cases of Acute liver failure, Alagille syndrome, Alpha-1 antitrypsin deficiency (AATD), Autoimmune hepatitis, Beckwith-Wiedemann syndrome, Bile acid synthesis defect, Biliary atresia are received and treated. However, among the other hepatic disordrs Budd-Chiari Syndrome, Caroli’s disease, Cirrhosischronic liver failure, Crigler-Najjar syndrome, Cystic fibrosis liver disease, Glycogen storage disease (GSD), Hemochromatosis, Hepatoblastoma, Hypercholesterolemia, Metabolic diseases, Nonalcoholic fatty liver disease, Organic acidemias, Primary hyperoxaluria, Primary sclerosing cholangitis, Progressive familial intrahepatic cholestasis Tyrosinemia, Urea cycle defects, Viral Hepatitis, Wilson disease are also gaining importance over the past few years. 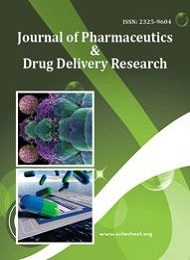 As per global experts “Despite the incentives provided by recent regulatory modifications and the efforts of formulation scientists, there is still a need for implementation of pharmaceutical technologies that enable the manufacture of licensed age-appropriate formulations.” Age-appropriate oral drug delivery systems are specifically developed to meet the needs of the pediatric population are therefore desired. New novel drug delivery systems like multiparticulate drug delivery systems, orodispersible tablets (ODTs), orodispersible films (ODFs), and chewable formulations are gaining importance in pediatric drug delivery systems. Some of these formulation approaches for the preparation of age-appropriate drug delivery systems are proving relative success. However there are many challenges towards developing pediatric delivery systems and dosage measurements, which needs to be addressed in this session. Global case study and research on dosing and pediatraic prescriptions show that prescribing by market name is more common than generic prescriptions, the later being only 7.4%. The prescribing pattern also indicated polypharmacy with the average number of drugs per encounter of 2.5. Antibiotics are prescribed to almost 79% pediatric patients, while injectable drugs are prescribed to 1.6%. However, WHO has already laid down strict guidelines to pediatric dosing and dosage forms protocol for the medical practioners. However unfortunately, many studies have reported that, 50–90% of drugs used in children today have never been actually studied in this population, and the results of drug studies done in adults are often extrapolated for use in children. The ADRs detected in children on admission to hospital are around 2.9%. Studies say that of these reactions at least one-fourth to 50% of these ADRIC are definitely or possibly avoidable. Prescriptions originating in the community account for around 17% of ADRs. Globally anti-infectives and anti-epileptics are the most frequently reported therapeutic class associated with ADRs in children admitted to hospital. A study has also categorized the adverse reactions in children as 25.96% ADRs were due to anticonvulsants, followed by antibiotics (22.11%), antipyretics (11.53%), vaccination (8.65%), steroids (6.73%), decongestants (5.67%), snake antivenom and antiemetics (3.84%), and fluids, insulin, and antacids (1.92%). The patients’ dermatological system was involved in 67.30%, followed by the central nervous system (CNS) in 11.53% patients. Renal system was involved in 6.73% patients. Cardiac, musculoskeletal, metabolic, and other systems were involved in 4.80%, 3.84%, 2.88%, and 0.96%, respectively. According to the Hartwig severity scale of ADRs, 64.4% patients had moderate ADRs, 29.8% patients had severe ADRs, and 5.76% had mild ADRs. In the present study, 64.4% patients expressed moderate severity, whereas 29.8% expressed high severity and 5.76% expressed mild ADRs. Over the last two decades, FDA has worked to address the problem of inadequate testing of drugs in pediatric populations and inadequate pediatric use information in drug and biological product labeling. The FDA initially attempted to encourage sponsors to submit pediatric studies and plans to sufficiently inform use of drugs in pediatric patients. 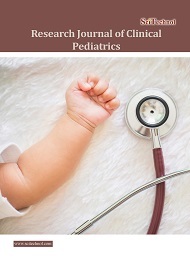 But this was unsuccessful in achieving adequate labeling for most drugs and biological products regarding use in pediatric subpopulations; product labeling frequently continued to fail to provide directions for safe and effective pediatric use. To address this problem, FDAMA contained provisions creating section 505A of the FD&C Act to establish incentives for conducting pediatric studies on drugs for which exclusivity or patent protection exists. Afterwhich number of new ammendments, acts, laws and guidelines were brought into effect to ensure safety of pediatric subjects. 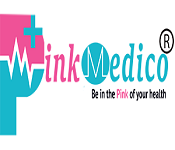 In-depth knowledge on the effects of medicines in children came to prominence in recent years due to appreciable increase in publicly funded research and government initiatives towards providing financial incentives to industry. According to NCBI published article an independent analyses of the economic cost and return to industry of the pediatric exclusivity program showed that when research was conducted on nine drugs, the cost to industry ranged from $5 to $44 million, with a median of $12.3 million. The net return ranged from $9 to $508 million, with a median of $140 million, and the ratio returncost went from -0.68 to 73.63. This shows the great potential that this field bears. The last ten years have witnessed both a significant expansion of pediatric pharmacology.